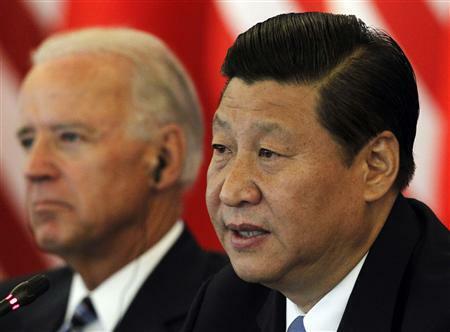 As Vice President Joe Biden built trust with China in Beijing’s corridors of power, goodwill between the two nations unraveled Thursday night on a nearby basketball court, where players beat each other up and even a chair was thrown. A ‘friendship’ game between Washington’s Georgetown Hoyas and Chinese professional side the Bayi Military Rockets erupted into a brawl as the match wound down at Beijing’s Olympic Stadium. It was unclear what triggered the fighting. Players traded blows, someone in the crowd flung a chair, and fans tossed full water bottles at the Hoyas players and coaches as they headed to the locker room, writing off the rest of the game. The games are part of a “China-U.S. Basketball Friendship Match” in Beijing, according to the Washington Post. The Hoyas intended to continue with the rest of their 10-day trip in China, including other scheduled matches in Shanghai.